There are two kinds of storefronts on this stretch of Detroit’s West ¬McNichols Road: Boarded-up and “Why isn’t this boarded up?” Most of the one- and two-story buildings are clad in drab painted plywood or the gunmetal gray of security shutters. At 10:30 on a Thursday morning, the liquor store on the corner of San Juan is the only business with noticeable traffic—¬unless you count the one being run out of the Honda coupe idling at a bus stop. The driver is conducting a cash-for--something-in-a-sandwich-bag transaction with a passerby, both of them oblivious to the horn blasts from the westbound Number 30 whose space they occupy. It’s a tableau that epitomizes what people who don’t live in Detroit imagine when they think about Detroit. It’s the picture you might conjure when you read that the city’s population has shrunk by 60% since World War II, or when you see 50th-anniversary remembrances of the riots of 1967. It’s an almost-perfect image of Rust Belt stagnation; the only detail missing from the stereotype is that none of the shuttered stores is actually on fire. But the real Detroit is not a blank canvas for apocalyptic visions of decline—and neither is McNichols Road. Along with nearby Livernois Avenue, McNichols is a main artery of a residential area that has stayed healthy through all of Detroit’s well-publicized woes. It’s within walking distance of thousands of middle-income households—and within six blocks of two college campuses and a hospital, “anchor employers” supporting decent-paying jobs. That’s why a coalition of Detroiters wants to turn this unlikely tract into an economic hub—part of a “20-¬minute neighborhood” where residents could find shopping, restaurants, recreation, and jobs within a short walk from their homes. A developer plans to take over more than 100 abandoned houses and renovate or replace them, creating mixed-income housing along a “greenway” park that will link the college campuses. 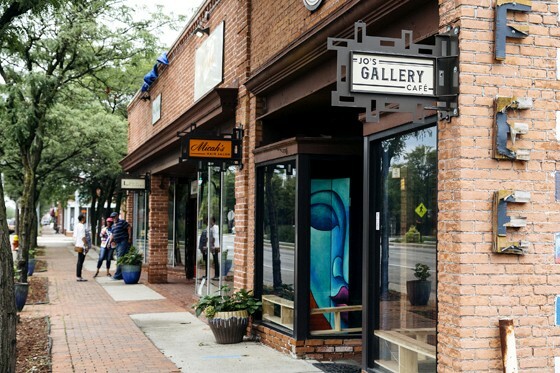 And nonprofit groups are acquiring some of these blank-faced storefronts, aiming to remake them to host small businesses owned by local entrepreneurs who would hire locally—creating opportunities where they’ve long been absent. It takes a village to rebuild a city, and the list of people and businesses collaborating on Detroit’s recovery is long. 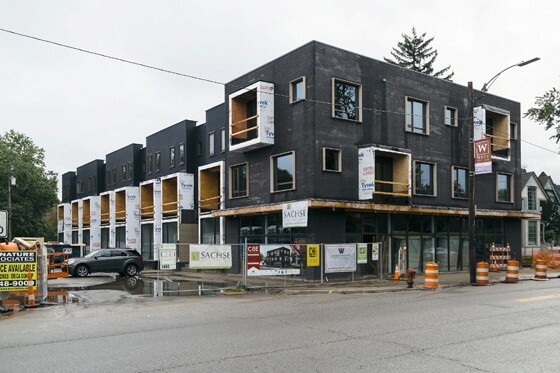 But the planning underway in Livernois/McNichols, and in a growing roster of other neighborhoods, reflects the expertise and financial clout of one corporation in particular: JPMorgan Chase. CEO Jamie Dimon’s financial powerhouse is the largest bank in Detroit, with a titanic 65% market share in consumer banking. Since 2014, the company has been doubling down on that relationship, in a daring experiment to help revitalize Detroit’s middle-class core. Making progress involves a deft dance with carefully chosen partners. JPMorgan Chase isn’t directly paying for a thicket of new apartments or a cohort of newly trained truck drivers—but it’s putting up the money to make those efforts possible. The bank has committed $150 million to the project, while deploying a rotating team to help Detroit’s reformist mayor, Mike Duggan, and local nonprofits decide which neighborhoods and industries to saturate. It’s those stakeholders who ultimately decide where the money goes. “We have the intelligence that larger organizations may not have,” says Clemons, the Detroit Market Lead at Capital Impact Partners, one of the bank’s teammates. And that intelligence is steering funds to businesses that wouldn’t otherwise qualify for them—for reasons as simple as inexperience, or as complicated as Detroit’s legacy of racial discrimination. The program may lift up the needy, but it isn’t charity. JPMorgan Chase wants to foster businesses with the skills to pay the bills—with interest. Some 55% of the money it has distributed to date has been made up of loans, says Peter Scher, the bank’s head of corporate responsibility. Give a woman a fish, and she’ll eat for a day. Teach her how to fish, and then lend her money to build a fish-and-chips restaurant, and you’ve gone beyond philanthropy—you’re doing good while doing good business. And the business case for investing in Detroit looks increasingly strong to Dimon. Since the financial crisis, the CEO has become convinced that the gap separating lesser-skilled workers from good job opportunities has itself become a drag on economic growth, nationwide. Do more to close that gap—by fostering small businesses and training workers—and you build a virtuous circle, where more people with stable incomes foster greater prosperity. If that means more entrepreneurs and would-be homebuyers become creditworthy borrowers, JPMorgan Chase wins too. In the Detroit metro area, where the bank has $20 billion in deposits, “We’re gaining share,” Dimon notes. “Chase is the home bank.” Imagine the returns that those $20 billion could earn in a faster-growing local economy, and a $150 million investment in city-building becomes more than simple altruism. Last summer, JPMorgan Chase gave Fortune a closer look at the work it’s supporting—a string of small projects whose cumulative impact is large. Scher’s team calculates that Invested in Detroit has created or preserved nearly 1,700 jobs, financed about 100 new businesses, and reached some 15,000 people through training programs. In a city with unemployment above 10%, those numbers represent real progress. More important, they’re a proof of concept. Thanks to Detroit, the bank is confident that this full-court-press approach is a blueprint that could work across the country—and in the next few months, they’ll be taking components of the Motown model nationwide. You can frame the magnitude of Detroit’s decline with a single statistical juxtaposition: Today, the city has about 675,000 residents, down from 1.8 million in 1950. By the Eisenhower era, the automakers and defense contractors who had fueled Detroit’s boom were already adopting new technology that enabled them to shrink their workforces. Manufacturers moved to suburbs or other states with ample space for new, more efficient factories, and over time, tens of thousands of workers followed the companies out of town. Racial discrimination, baked into local politics and institutions, burdened those who stayed. Many Detroit suburbs maintained a de facto segregation that kept African-American workers from going where the jobs were. Meanwhile, “redlining” by banks—the practice of classifying minority-dominated neighborhoods as too dangerous for lending—kept black families from building wealth through home equity, and starved entrepreneurs of capital, even as “white flight” made Detroit a majority-black city. Civil rights advances in the 1960s and 1970s lowered some barriers, but the erosion continued. The city took a decisive kick in the teeth from the 2007–09 financial crisis, which not only drove General Motors and Chrysler into bankruptcy, but exposed how many Detroit homeowners held subprime mortgages. Some 140,000 Detroit homes were foreclosed on between 2005 and 2014, according to research firm RealtyTrac, shredding the city’s already decimated tax base and helping precipitate its own bankruptcy. Among those witnessing this train wreck was Dimon, who’s been doing business in the city since the 1980s. 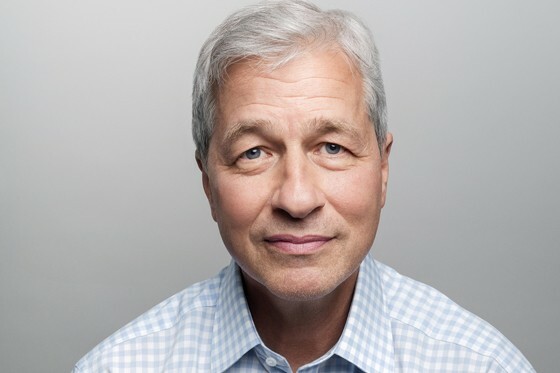 When Dimon became CEO of Chicago-based Bank One, that institution was Detroit’s biggest lender. JPMorgan Chase inherited that mantle when Dimon engineered its merger with Bank One, in 2004. “We’ve been watching Detroit be an accident waiting to happen for years,” he says. But Dimon also had a front-row seat for a revival. ¬Detroit built Ford Field, a downtown stadium, to host Super Bowl XL in 2006. That helped spark some downtown redevelopment, and the movement gained momentum in 2011, when Quicken Loans Chairman Dan Gilbert moved his headquarters from suburban Livonia to Campus Martius Park, steps from city hall. Since then, Quicken and Gilbert’s development company, Bedrock Detroit, have reshaped downtown, spending some $2.5 billion to acquire and develop more than 100 properties. Dan Mullen, president of Bedrock, describes its philosophy as, “Create enough density in one area until it busts at the seams, and then that density sells itself.” Other Fortune 500 companies—from car-seat maker Adient to Microsoft—have been drawn by the critical mass, establishing offices downtown, and several thousand knowledge workers have moved there too. Visit the central city now, or take the Quicken-funded “Q Line” up Woodward Avenue to Midtown, and you’ll see the kinds of homes, brands, and amenities that white-collar hipsters love. John Varvatos? Warby Parker? Got ’em. An old-fashioned ballpark you can walk to from your loft? Check. Restaurants where the cocktails come with a single, huge ice cube? Roger that. This vision of recovery is buzzy, fun—and incomplete. In a city where only 13% of working-age residents have a bachelor’s degree, the benefits of an influx of finance and tech jobs only stretch so far. Mayor Duggan is adamant that he doesn’t want a stratified city. “I’ve studied closely what happened in Washington, D.C.,” he tells Fortune. “My daughter lives in Brooklyn. I’ve studied what happened there. We are adopting strategies so that doesn’t happen.” But how could you spread downtown’s recovery through the city’s sprawl of blue- and pink-collar neighborhoods? 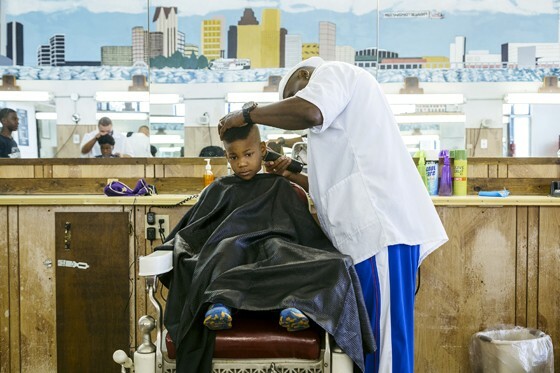 How could you keep Detroit’s boom from replicating America’s economic divide? Duggan had some ideas—and so did JPMorgan Chase. Detroit’s reemergence coincided with a philosophical shift at the bank. It’s already a formidable donor: In 2016, it gave $250 million to nonprofits. But after the financial crisis, its leadership began considering how to make that money count for more. Under Peter Scher, it retooled its giving to tackle economic insecurity itself—focusing on small-business expansion, job-skills training, neighborhood development, and financial counseling. In 2012, about 40% of JPMorgan Chase’s corporate giving was devoted to those four pillars, Scher says; today, it’s 95%. It’s an approach that leverages what banks already do well—lending people capital, and giving them advice about how to deploy it. In late 2013, this model was new for the bank. But Dimon and Scher saw in Detroit an ideal laboratory for it. There was rare harmony between Duggan—an energetic, bulldozer Democrat who had just won an election, amazingly, as a write-in candidate—and Michigan Gov. Rick Snyder, a Republican. “All they spoke about was, ‘We need jobs, we need housing, we need to turn the lights on,’ ” Dimon recalls. “Not the ideological yelling and screaming.” Detroit’s exit from bankruptcy enabled the city to shed some of its elephantine debt obligations and dedicate more tax revenue to improving the city. Most important: Scher and Duggan found they shared many beliefs about neighborhood-building and economic empowerment. By July 2014, JPMorgan Chase had put $100 million on the table for Invested in Detroit. That fact reflects the self-perpetuating math of Detroit’s decline. Most banks are required by law to keep “loan-to-value ratios”—the ratio of the loan amount to the estimated worth of the project it funds—below a certain threshold, typically 80%. But property values in most of Detroit have sunk so far that most real-estate projects easily break that ceiling; by definition, they would cost more to build than they would be worth once completed. For similar reasons, entrepreneurs can seldom scrape together collateral for a loan. Quicken Loans didn’t face this problem—its early downtown investments were self-financed. And Detroit’s big corporations can almost always find lenders. But small businesses and local developers are often stymied. JPMorgan Chase spotted a way around the obstacle. Community development financial institutions (CDFIs) specialize in lending to lower-income communities. They’re usually nonprofits, and the Treasury Department exempts them from some rules that govern for-profit banks. CDFIs can take greater risks, accepting higher loan-to-value ratios and extending relatively lenient payment terms. They can also lend to entrepreneurs whose credit scores or lack of a track record would drive banks away. Guided by vice president of global philanthropy Tosha Tabron, a Detroit native with extensive CDFI experience, JPMorgan Chase chose three as partners. It has since extended more than $50 million to them through loans and grants—and given them a free hand to get it to the right places. CDFI loans typically carry interest rates of 7% or 8%, Waters says, compared with 4% to 5% for a bank business loan. That reflects both the costs of the additional support the lenders offer, and the greater risk: Default rates at DDF, at a little over 4%, are almost three times as high as the 1.35% average for commercial loans. But the nonprofits’ most successful protégés can grow large enough to be “bankable”—and look like much less risky bets. Adrienne and A.K. Bennett, mother and son, run their plumbing and HVAC contracting firm, Benkari Mechanical, out of a cluttered cinder-block building on the city’s northwest side. Last year, Benkari got a big opportunity: The chance to work on Little Caesars Arena, Detroit’s new hockey venue. But it didn’t have the cash to cover payroll for the 60-to-90 days between when the job started and when the checks arrived—and it wasn’t well established enough to borrow it from a bank. "Oh, nice, it’s trash day," says Dave Blaszkiewicz. “You learn a lot on trash day.” He’s piloting an enormous SUV down a narrow residential street, just north of the McNichols retail strip. 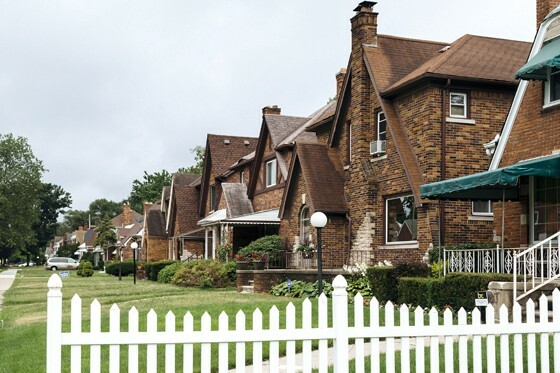 To the untrained eye, the health of this block of brick bungalows might be hard to gauge. Some homes are pristine, some are run-down, some are abandoned “broken teeth.” But most have big plastic trash bins waiting for pickup in their driveways—and that’s a sign of neighborhood strength. 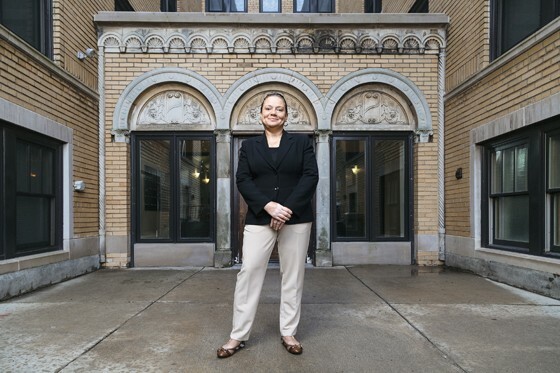 Blaszkiewicz is the president and CEO of InvestDetroit, a CDFI with a focus on real estate and small-business development; it’s another JPMorgan Chase partner. Working on the downtown and midtown revivals converted him to the “density is everything” mantra. Even in neighborhoods that look blighted, he says, there’s often enough pent-up demand among residents to kindle a small-business boom. High on the wish list for Detroit’s CDFIs was a database that could help them predict which neighborhoods could best take advantage of a push. To build one, JPMorgan Chase brought in four employees from around the country to flex their data-science muscles. The team gathered anything they could quantify about neighborhood health—number of sit-down restaurants, transit availability, quality of local schools. They looked at credit card transaction data, gleaning insights about spending patterns. And they went to dozens of neighborhood meetings to learn what kinds of businesses residents wanted. “It’s like in investment banking, where you rank an opportunity ‘green,’ ‘amber,’ or ‘red,’ ” says Joyce Chang, the bank’s New York–based global head of research for corporate and investment banking, who mentored the team. The result was a flexible, user-friendly database that could shape decision-making. “They did in a month what would have taken someone else six,” says Blaszkiewicz. The kinds of assets that the database is designed to detect are on display in the first three eight-to-15-block “micro¬districts” targeted by Invested in Detroit—including Livernois/McNichols. Within walking distance of the desolate part of McNichols Road, for example, are two prosperous tracts, Sherwood Forest and the University District, where household incomes average around $80,000. A short distance north is the Avenue of Fashion. 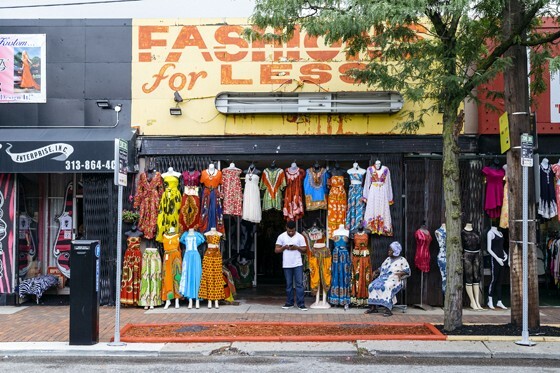 The shoe stores and dress shops on those blocks have a time-capsule air about them—many of the signs are of Motown vintage—but they do brisk business, and the momentum they generate could help nearby blocks grow too. If that template has an architectural signature, it’s the “mixed-use” building—boxy new construction that combines residential units with ground-floor retail. These projects can be a Swiss Army knife for development: They can host multiple businesses; they’re well suited to loft spaces that attract affluent renters; and they can accommodate affordable housing. Under current plans, each of the microdistricts targeted by Invested in Detroit’s partners will have at least two new mixed-use hubs. Capital Impact, Clemons’s CDFI, specializes in these projects. The B. Siegel project on Livernois is one, and on a hot afternoon, Clemons and a colleague take me to another. We pull into a site due to open in November as “the Coe at West Village.” It sits about a block from two beloved “anchors” of the West Village neighborhood: a barbershop, Heavyweight Cuts, and a bakery, Sister Pie. Cliff Brown, a broad-shouldered man on whom a construction helmet looks comically small, shows us around. It’s one of his first projects as a developer, and he almost certainly couldn’t have financed it with a traditional loan; just under half of the $4 million cost is coming from funds backed by JPMorgan Chase. In Detroit, Lennon’s team helped spearhead a survey of the job market, to identify the gaps between demand and supply. To date, JPMorgan Chase has invested $15 million in filling those gaps. Lennon’s group is helping design career-themed curriculums at 20 public high schools—and organizing businesses to hire students for apprenticeships and internships in fields like plumbing and hospital work. The bank is also funding nonprofits like Focus: HOPE, a vocational center where students in an “integrated advanced manufacturing” course work with the kind of robotics tools used in today’s factories. When Duggan and Scher hosted a press conference in May to announce that ¬JPMorgan Chase was steering another $50 million to Invested in Detroit, bringing the total to $150 million, they chose Focus: HOPE as the venue. Audience members sometimes had to strain to hear them; they were competing with the metal-on-metal clangor from the shop-class floor. Rebuilding Detroit’s neighborhoods is nothing if not a long game. The projects in the first three microdistricts should be finished by 2021; the city hopes to build out 10 neighborhoods by 2026. Cultivating jobs to sustain those neighborhoods will take just as long. Fantasize about a shopping trip to Livernois/McNichols, in other words, but don’t book it any time soon. JPMorgan Chase’s leaders aren’t fazed by the wait. “A politician has a four-year horizon,” Scher says. “A banker can have a 20-year horizon.” But so far, the bank’s bet is paying off. Its loans to CDFIs have already reaped returns, with $8.9 million to date repaid and cycled back into Invested in Detroit projects; Scher says there hasn’t been a single default. The project is also helping the bank retain and develop top talent. JPMorgan Chase has cycled more than 80 employees through its Detroit Service Corps to provide advice and training for a few weeks at time. Those postings are competitive, with multiple candidates applying for each opening. “It’s so much more in touch with what people in their twenties want to do,” says Chang, the executive who worked on the neighborhood scorecard. 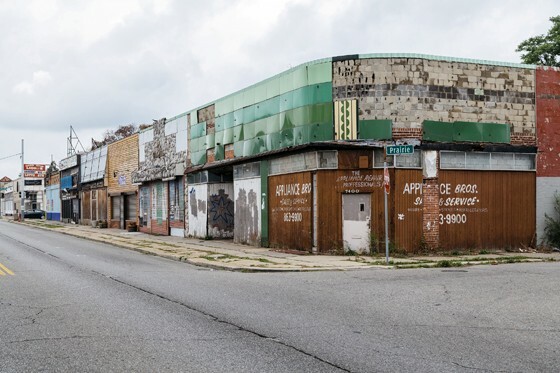 But most important, three years of progress with Invested in Detroit has convinced Dimon and his leadership team that they’ve assembled the right tool kit for revitalizing American cities. And by the end of the year they’ll have planted the flag beyond Michigan. In August, JPMorgan Chase announced an investment in BSD, a vocational center on Chicago’s South Side modeled after Focus: HOPE. Later in September, the bank will unveil its support for neighborhood-building projects in three more cities, to be financed by grants from its Pro Neighborhoods Fund. Around the same time, the bank will launch a new Entrepreneurs of Color fund in the San Francisco Bay Area. And another major metro area, to be announced this fall, will be the next to get the full Motor City treatment¬—a multipronged blitz of funding for small businesses, residential development, and job-skills work that could help rebuild its middle class. “We can’t do Detroit everywhere,” Dimon says. “But we could do Detroit in three or four places a year, and we could do a ‘Detroit lite’ in another 10.” Figuring out how, and where? “It’s on the list,” he says.